The EK-RES X3 – Multiport TOP WHITE is an alternative white top end cap for EK-RES X3 series reservoir which offers additional port configurations. 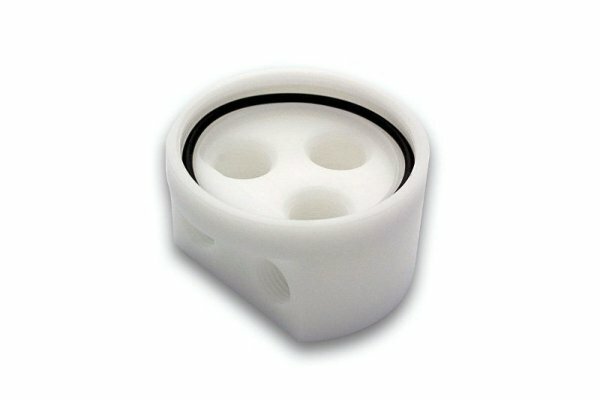 This TOP allows installation of three tubes which needs to be purchased separatelly (appropriate lenght, depending on the version of the reservoir). 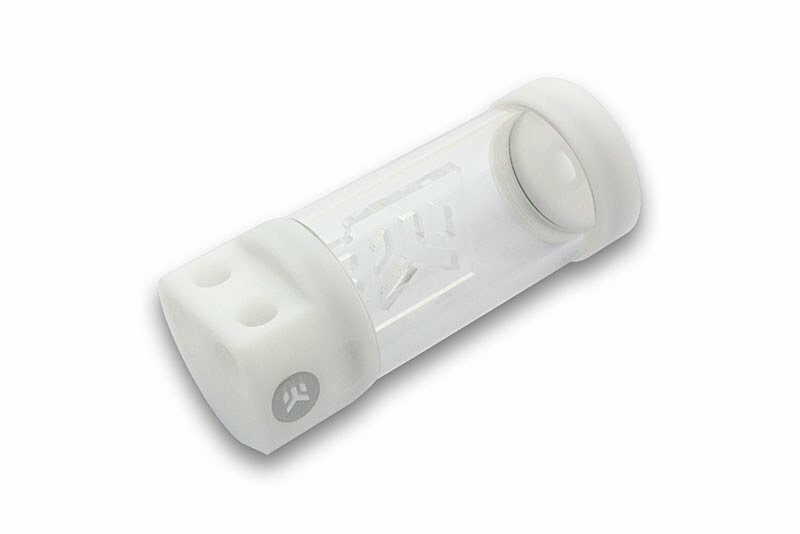 These tubes, which are sealed with quality NBR rubber gasket, allow the ports on this TOP to be used as an outlet ports as well. 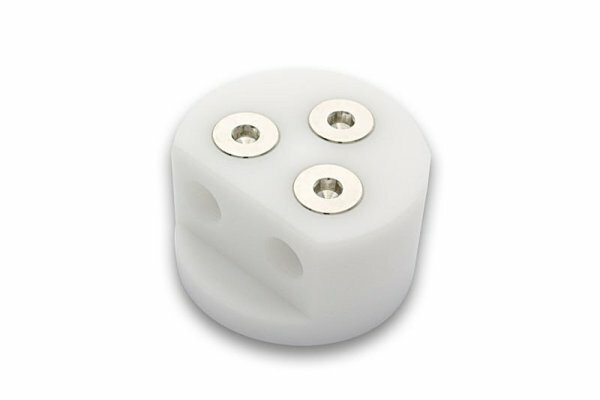 EK-RES X3 – Multiport TOP WHITE is made of quality machined white POM Acetal material. Enclosed: – EK-RES X3 – Multiport TOP WHITE acetal end cap – EK-Plug G1/4 (3 pcs) – spare sealing gasket (o-ring / OR 52×2.5) This product is compatible with the following EK reservoirs: – EK-RES X3 150 – EK-RES X3 250 – EK-RES X3 400 – EK-DDC X-RES CSQ (ports to be used as an inlet only) – EK-D5 X-RES CSQ (ports to be used as an inlet only) Made in Slovenia – EU!